If you’ve been following the second season of BET Top Actor Africa, which premiered last week on BET Channel 129, you know by now that Nigeria has three representatives on the show. Radio OAP Tobechi Nneji, upcoming musician Uriel Oputa and TV actor Ifeanyi Dike are the lucky three who emerged from the Lagos auditions and they joined nine other hopefuls from South Africa and Kenya in last week’s premiere episode. Tobechi, an Economics graduate who has worked as a radio presenter across Nigeria, describes her experience of being chosen from the auditions as “surreal”. According to her, she only went to the audition “for the heck of it” and she didn’t quite accept that it was real until she actually got on the flight to South Africa. 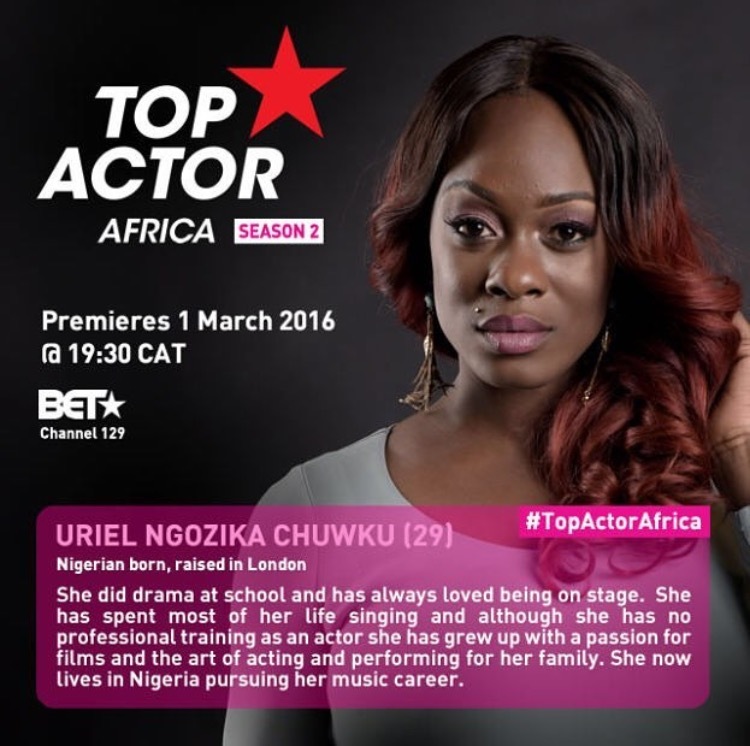 She hopes to have a lot of fun and become exposed to new ideas and self-discovery in the Top Actor Africa house. Ifeanyi Dike Jr on his part is not a stranger to the big screen. Already known for his acting roles on Tinsel and MTV Shuga, he describes being chosen for the Top Actor Africa house as a humbling one because he is meeting with other contestants and learning about their lives, cultures and back stories. He also reveals that he is presently learning a lot about himself and his acting skills. In the upcoming second episode, after being prepared for the upcoming challenge, the contestants find themselves undergoing the surprise test of featuring in a music video for a well- known artiste. 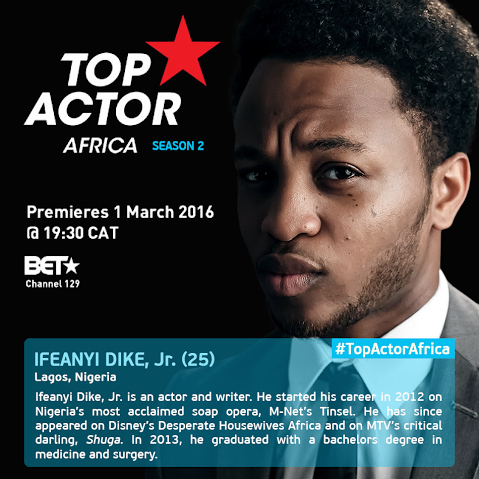 BET Top Actor Africa Season 2 Episode two airs on Tuesday March 8 2016 at 6.30pm WAT on BET Channel 129. 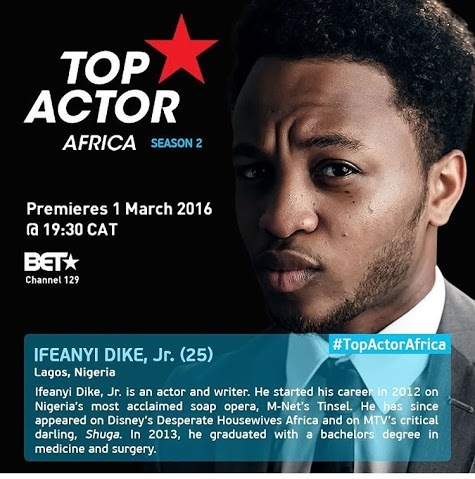 For more on Top Actor Africa, visit www.betafrica.tv, like us on Facebook at www.facebook.com/BETinAfrica or join the conversation about the channel on Twitter and Instagram @BET_Africa using the hashtag #TopActorAfrica.